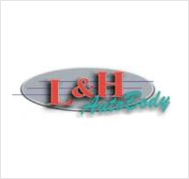 RROC is pleased to announce L & H Auto Body as a top level sponsor for our organization. L & H Auto Body of Evergreen and Minturn has provided 62 years of quality service here in Colorado and continues its strong presence within the community. Owners Randy and Sharon Massey has been a proud foster home to over 80 RROC dogs and have dedicated countless hours, time, money, supplies and event space to our organization. Sharon is currently the President of the Retriever Rescue of Colorado. We are a 501(c)(3) charitable organization made up of a small group of people dedicated to funding those organizations which are on the frontlines – pulling dogs and cats from high-kill shelters every day. Like many animal rescue groups, there are no paid employees here. Your donations are tax deductible. Bama was saved on her last day in a high-kill shelter in Canon City by another rescue organization and then fostered by RROC until I adopted her in 2006. Although I’ve had several Labs before her, Bama was my “once in a lifetime” dog, and the ten plus years that I got to spent with her were such a blessing. Bama is on the Rainbow Bridge now, running and playing again like she did when she was young. Thanks Diane for your sponsorship of a senior dog in Dottie’s name! We love senior dogs.